I know some people who are very sand-sensitive. Those who forbid you to get a toe into the house after a beach day before you completely wipe yourself out. Some might even carry you directly into the bath before a single grain of sand intrudes into the house. On the beach you can also observe some people standing by the water on one foot, vainly trying wash the sand away from their feet in the sea. The delightful moment comes when they attempt to put their shoes back on without touching the sand again. This pathetic flamingo dance usually ends up with the guy tipping either right or left, the funniest being when gravity pushes him to the water side. 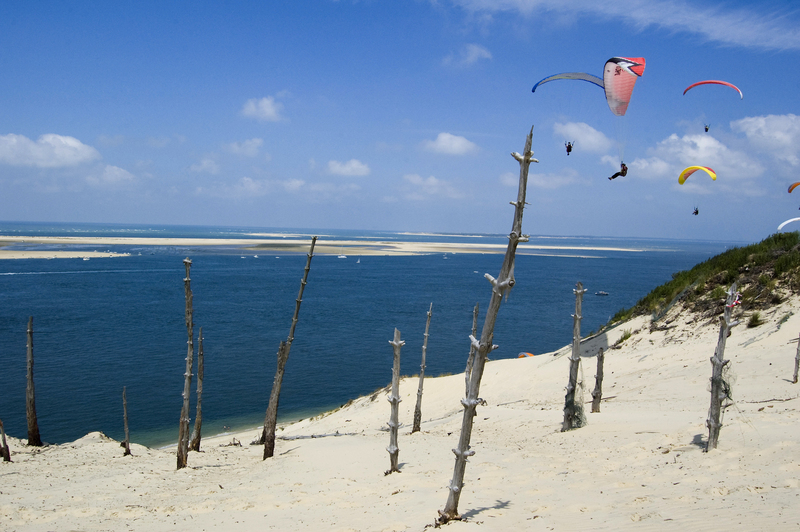 Image of paragliders above the Dune from Christian Bachellier. If you are one of those guys, get ready because you are going to see a lot of sand. I am saying A LOT OF SAND. Just like a small desert that rose on the Atlantic shore. 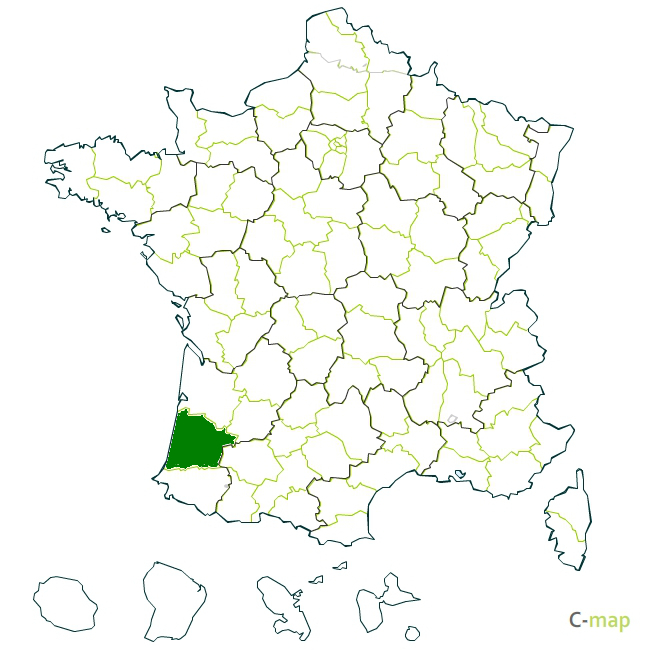 This impressive dune lies in the splendid area of Les Landes and is simply the highest one in Europe. This foredune is constantly trying to push back the forest behind her. I am moaning for the trees but let’s be honest, this gives us even more playing space. Watching the impressive view over Les Landes is breathtaking. You’ll glimpse Le Cap Ferret, which is simply one of my favorite small town in France and let your mind wonder as you feel the nice breeze. It is also a paradise for paragliders. They are like birds fluttering in the air and offer a marvellous spectacle. So pack your bag pack and roll up your tent… if you want to live the experience just like it should be, I suggest camping in September in the nearby campsite. It is the perfect time to tumble and roll down the dune while keeping away from the massive crowd in July and August.